This amazing remote controller gives you the opportunity to choose the operation mode for all the plant life cycle, selecting the appropriate light spectrum, simulating the daylight starting with the Sunrise, to move to Sunny or if preferred Cloudy, till Sunset, followed by the moon phases ( really cool tool!). 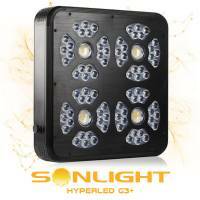 It will be you to choose the most appropriate light spectrum for your plants at certain times, with the possibility of variating light intensity and colours from 0 to 100% on 3 channels, setting them hour by hour. 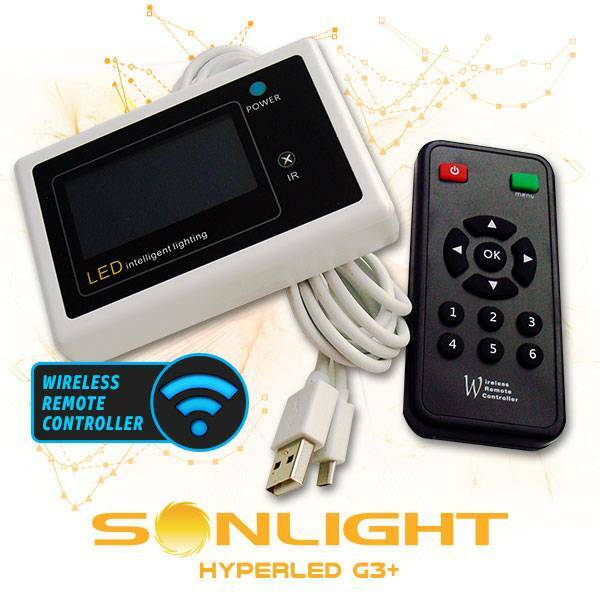 Beside the specific setting of the 3 independent channels for vegetative, growing and blooming phases, The Sonlight Wireless Controller G3+ can be programmed hour by hour, fully personalising the light spectrum, timing and intensity, allowing and even higher savings on electricity bill.